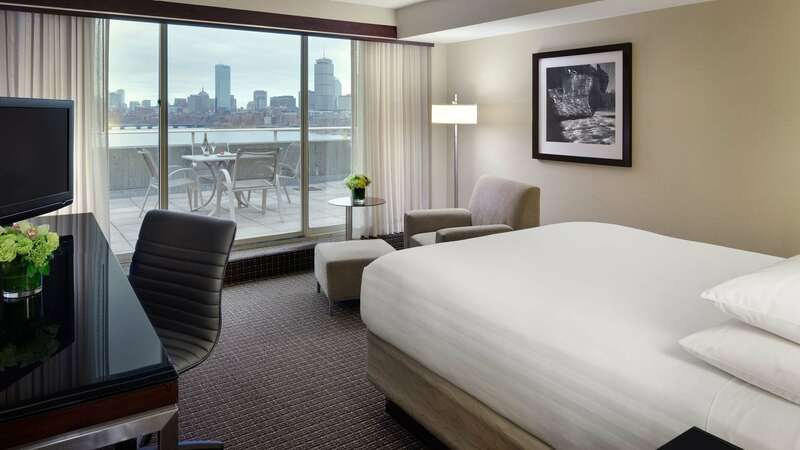 Situated along scenic Charles River and overlooking the Boston skyline, Hyatt Regency Cambridge is a welcoming hotel conveniently located just steps from the city. 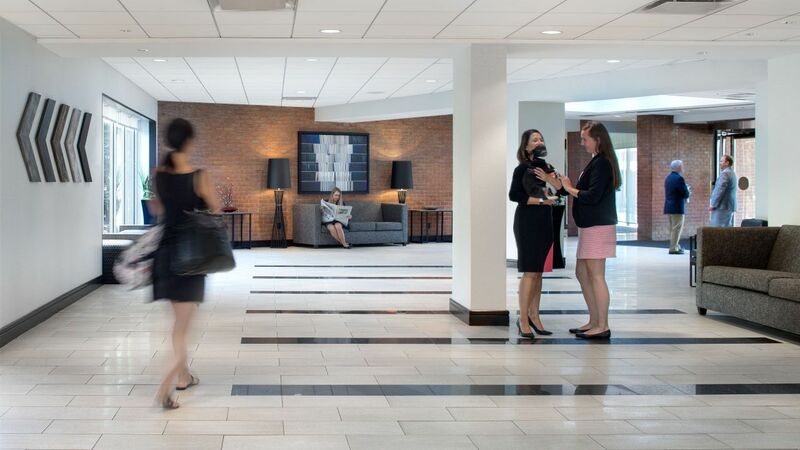 Our 5 mile drive from Logan Airport makes travel fast and convenient. 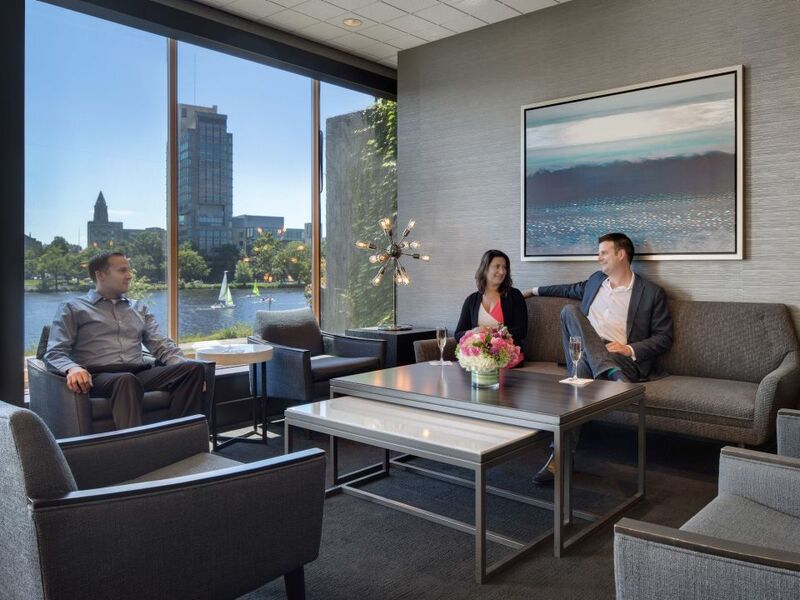 Spend your afternoon walking or biking along the Charles River or relaxing at our expansive pool with a seasonal retractable roof. 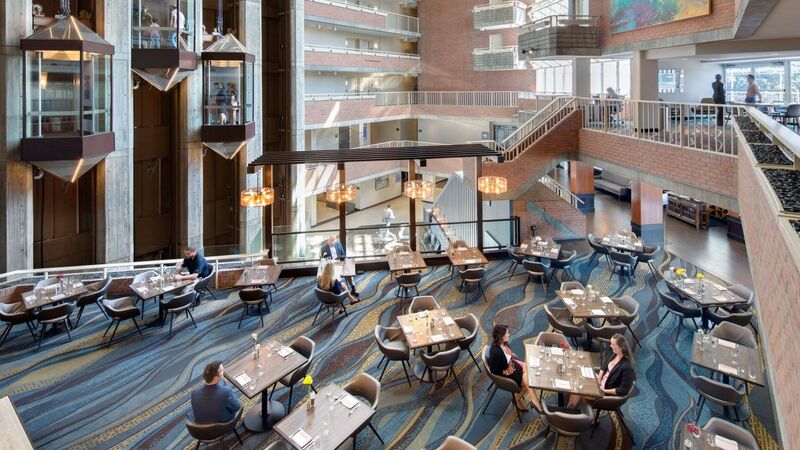 Treat yourself to in room dining from our restaurant Zephyr on the Charles while enjoying river views of Boston from your guestroom balconies. 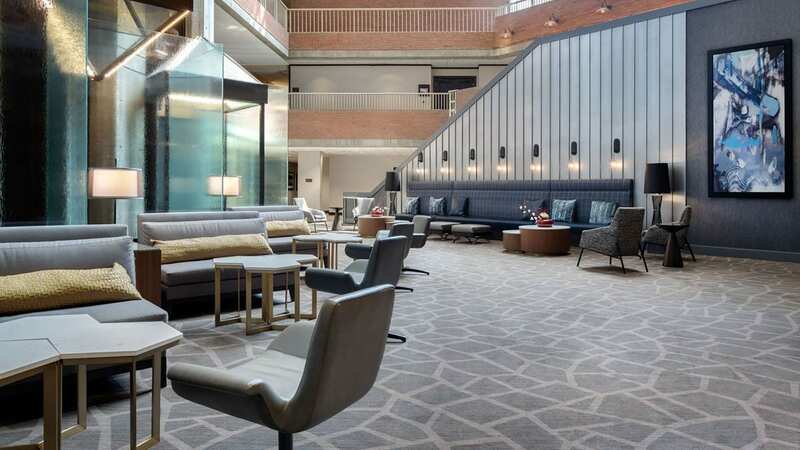 Take our complimentary hotel shuttle to Kendall Square and explore the many nearby restaurants and shops just minutes away. 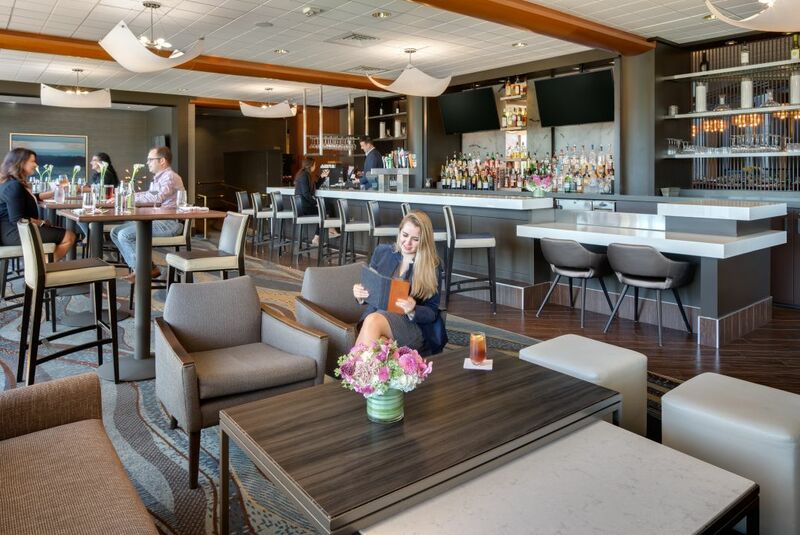 Relax with a signature cocktail in our inviting Cambridge bar and enjoy panoramic views of the Boston skyline and Charles River. 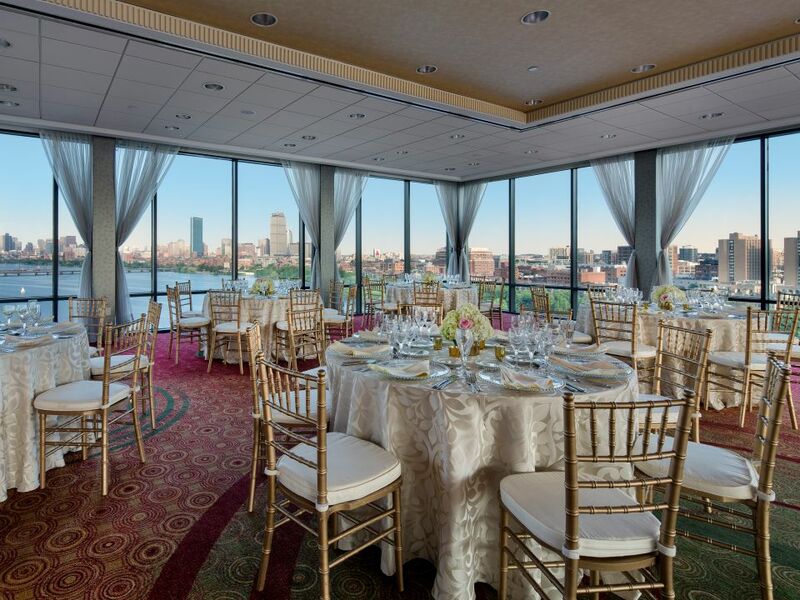 Celebrate your wedding in style in our one of a kind ballrooms with breathtaking views of the Boston skyline and Charles River. 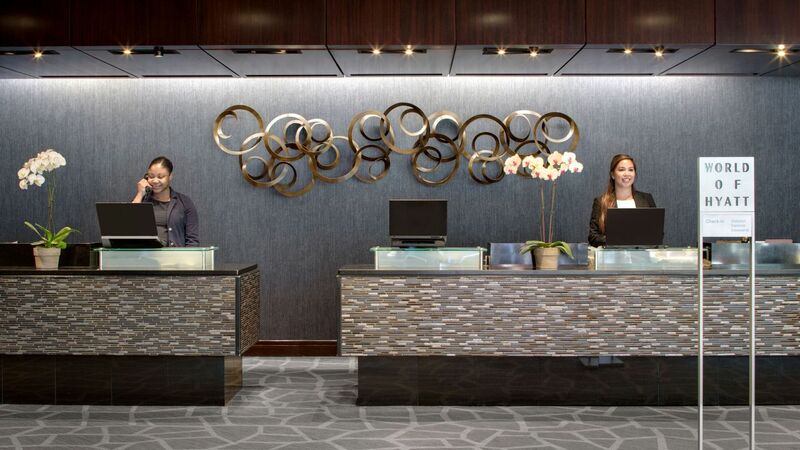 As the largest hotel in Cambridge, we invite our guests to enjoy beautiful views of the Boston skyline, Charles River, or city of Cambridge in one of our 470 contemporary guest rooms. 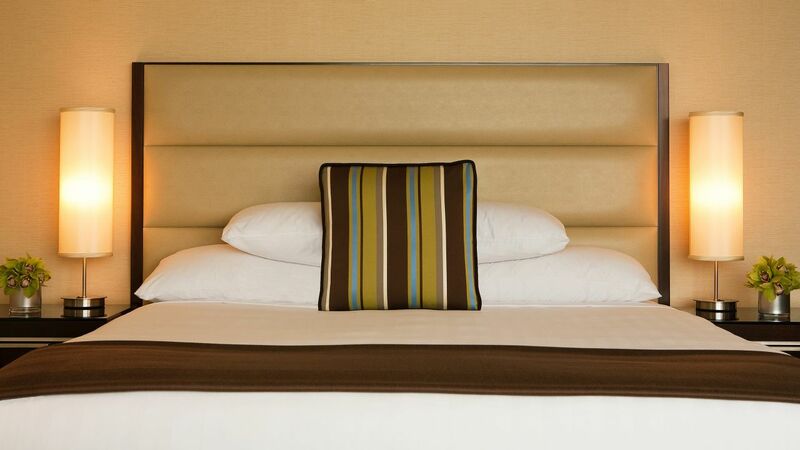 Relax on our Hyatt Grand Beds and enjoy our 55” flat screen televisions featured in every guestroom. 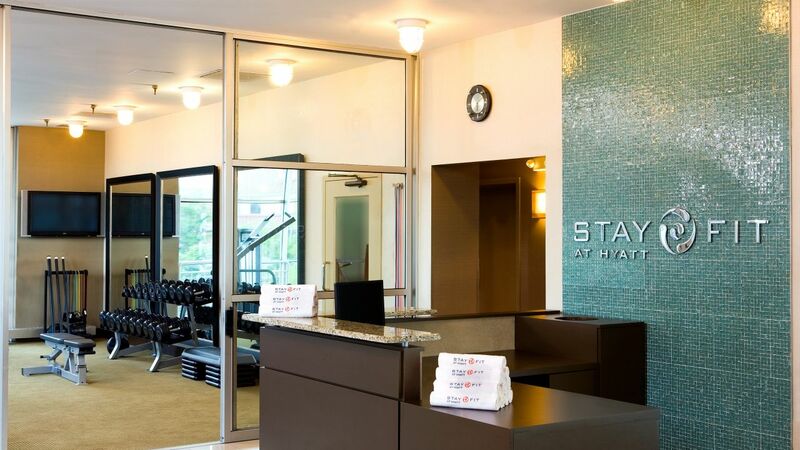 Our on-site Atlantis Sports Club features brand-new, high-tech Life Fitness® cardio and strength-training equipment—perfect for keeping up with your fitness routines while on vacation. Access to the sports club is complimentary for all hotel guests, though you can become a member to receive access all year long.. Pool and locker rooms: daily, 5:00 a.m. to 10:00 p.m. 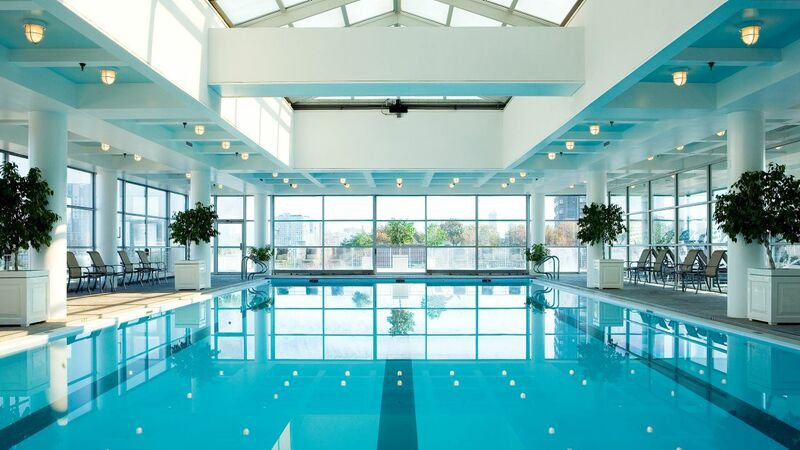 Enjoy swimming in the glass-enclosed, heated indoor pool at Hyatt Regency Cambridge. Our 75-foot saline pool is open year-round and even features a retractable roof for warmer days. 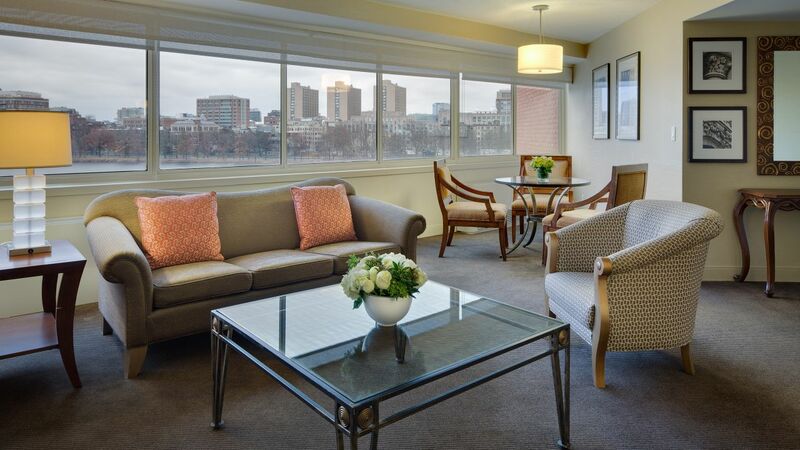 The adjoining sundeck overlooking Cambridge is also a great place for lounging and reading your favorite book. Monday – Friday, 6:00 a.m. to 10:00 p.m.
Our hotel offers an impressive line-up of enriching massage services. 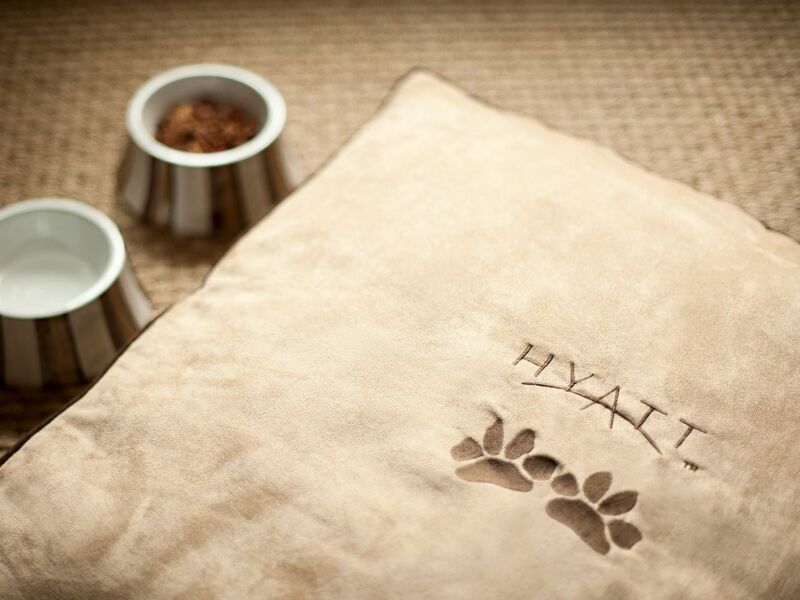 All guests are invited to reserve 1- or 1.5-hour in-room massages, giving the hotel a minimum of two-hour notice. 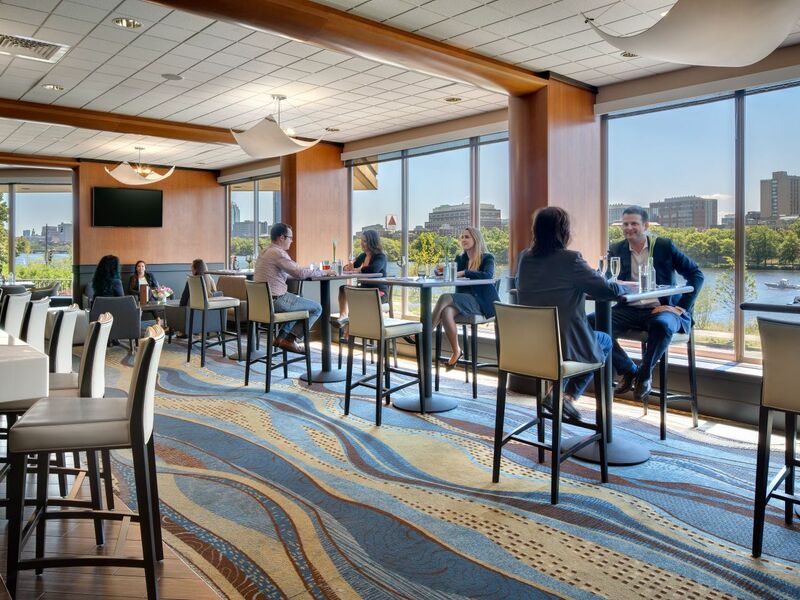 Enjoy beautiful views of the Charles River and Boston skyline as you dine on our seasonal menu items featuring locally sourced fresh ingredients. Sip on a craft beer or savory cocktail and indulge in a small bite or dessert. Celebrate your special day in Cambridge in our beautiful wedding venue spaces. 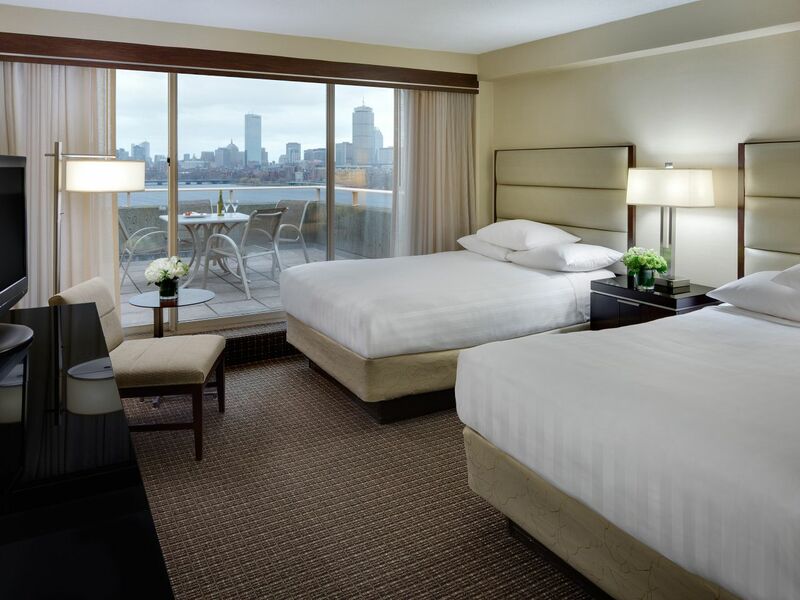 Enjoy gorgeous Boston skyline views in one of our private ballrooms with floor to ceiling windows. 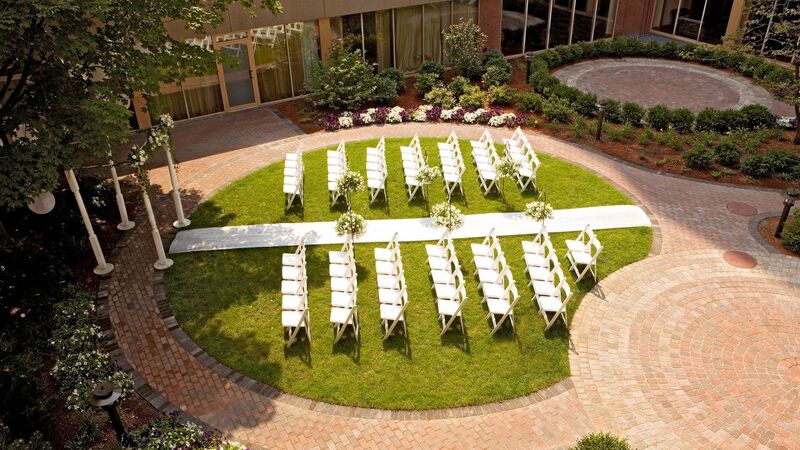 Host your ceremony in our seasonal riverside pavilion or central courtyard. 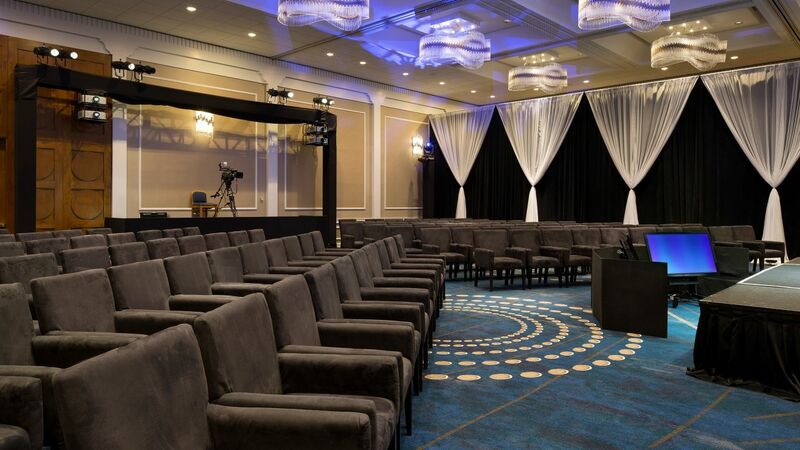 Our hotel offers 25,000 square feet of flexible, state-of-the-art meeting space ideal for all types of meetings, conventions, and conferences. 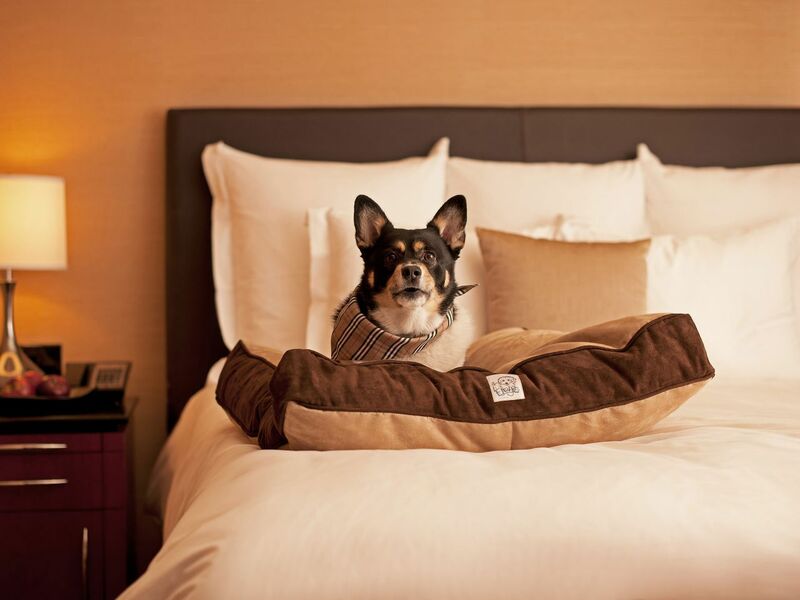 Bring your dog to our pet-friendly hotel in Cambridge, Massachusetts. Reservation must be made at least three days in advance. A fee of a $100 plus tax for stays up to six days and $200 plus tax for stays 7+ nights will be charged upon check in. An additional $100 deep-cleaning fee will be charged for 7-30 day stays. Dogs 50 pounds and under are permitted. 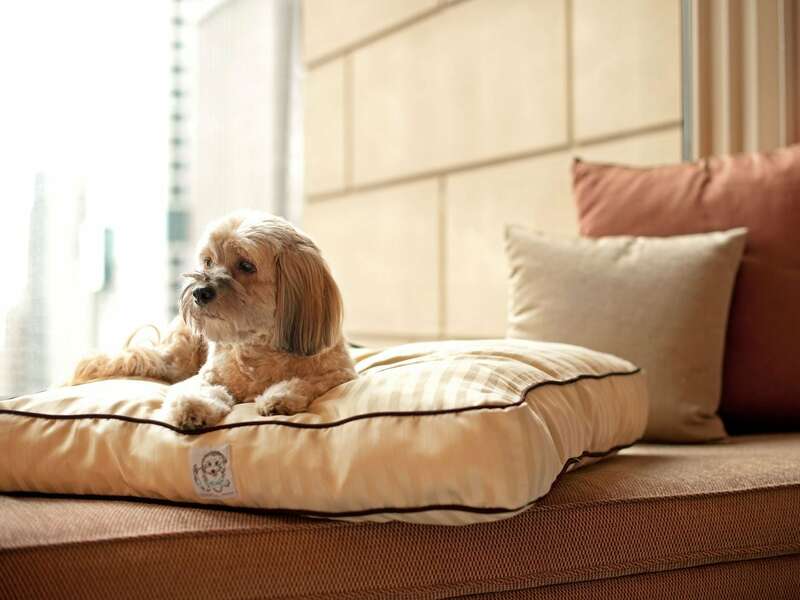 Two dogs may be allowed in a guestroom, provided the combined weight of both dogs does not exceed 75 pounds. 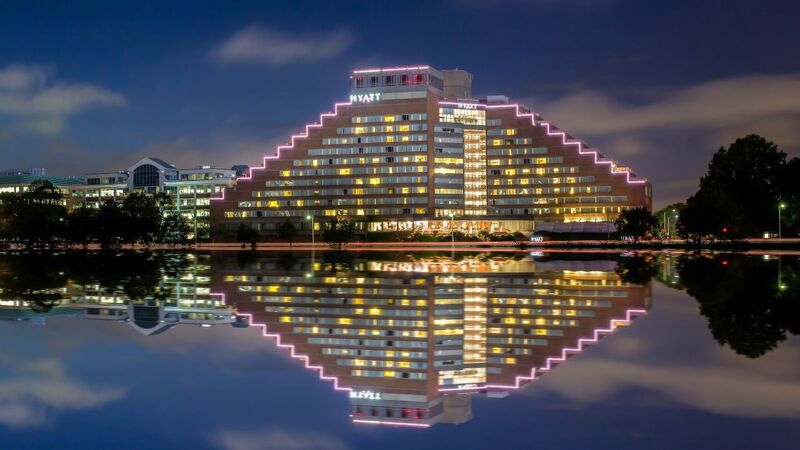 The Hyatt Regency in Cambridge is absolutely terrific! What a friendly staff, what great food, what great rooms! What more can you ask for? 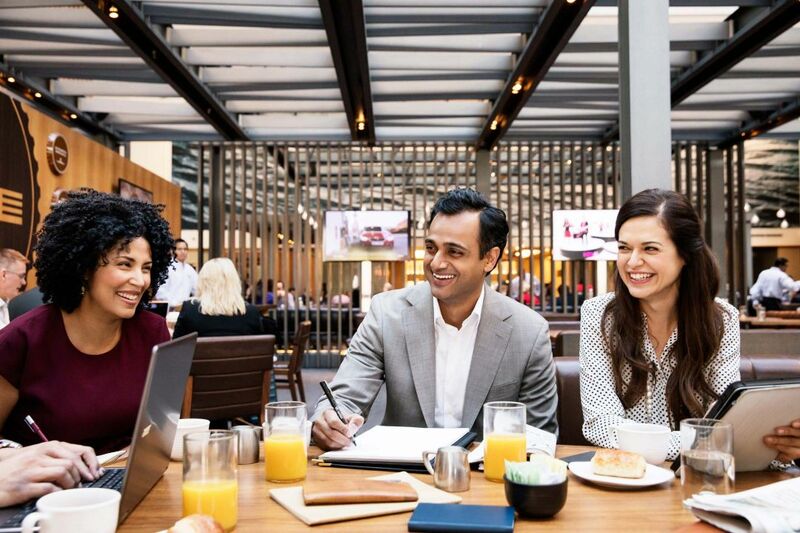 What else is happening at Hyatt Regency Cambridge?